Recently I am hooked with bread making.. I used either thermomix or Kitchen aid to knead the dough.. its can help me to destress when I am stress up with works and kids.. still need to learn more about it.. but at least i know my kids are eating more healthy choice of breads which it is without bread improver (softener).. 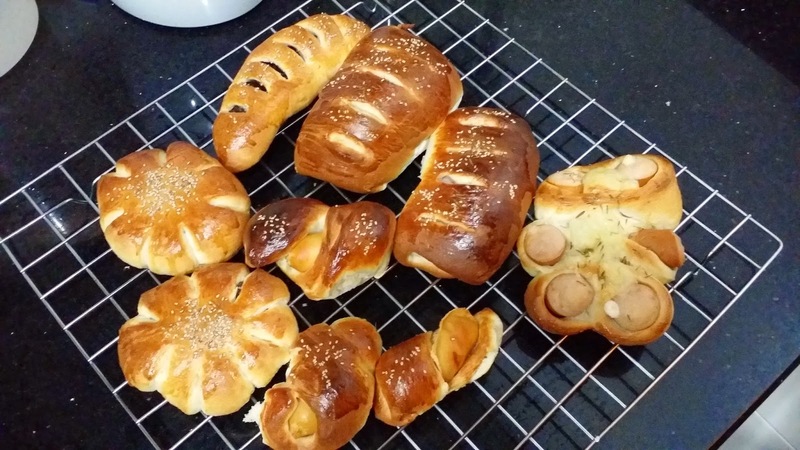 If i got time will share some recipe that i tried which produce great breads with u all.. :P now good night lor..